Robert Pattinson's dogs, Bear and Bernie, are helping him to get over his split from Kristen Stewart. 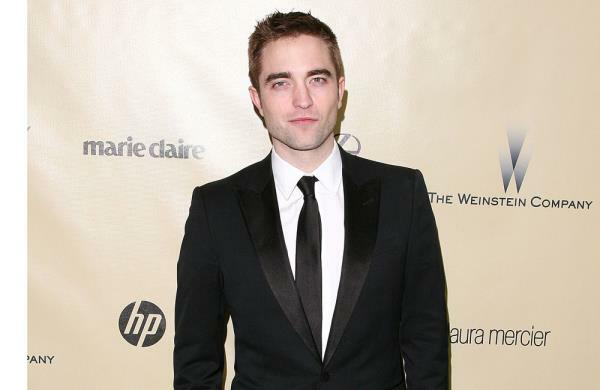 Robert Pattinson has turned to his dogs to help him cope with his split from Kristen Stewart. Although the 27-year-old actor dumped Kristen (23) after he discovered she was cheating on him with married director Rupert Sanders, he’s reportedly still in love with her and has turned to his pets to get over his heartbreak. A source told HollywoodLife, "Rob's looking forward to working on his music and just spending some down time with his close friends and Bear and Bernie. It sounds funny, but he is so close to those dogs. He's been getting so much love and comfort from them during this tough transition without Kristen." Robert hasn't opened up to his friends about his feelings as he prefers to keep his emotions close to his chest. The insider added, "Contrary to what Kristen believes, Rob is not taking their break-up lightly. He just doesn't show his emotions openly. He's an introverted guy, especially when it comes to relationships. "He's not one to open up and blab about what's going on. He's also very English and keeps to himself."